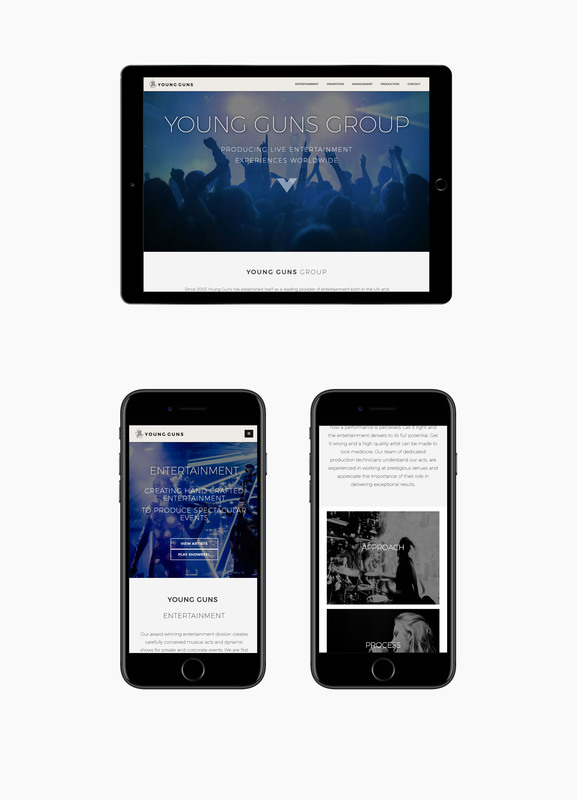 Young Guns presented Original People with the challenge of redesigning their digital presence for the face of their events and entertainment business, and to assist in bringing their brand into the modern digital design fold. 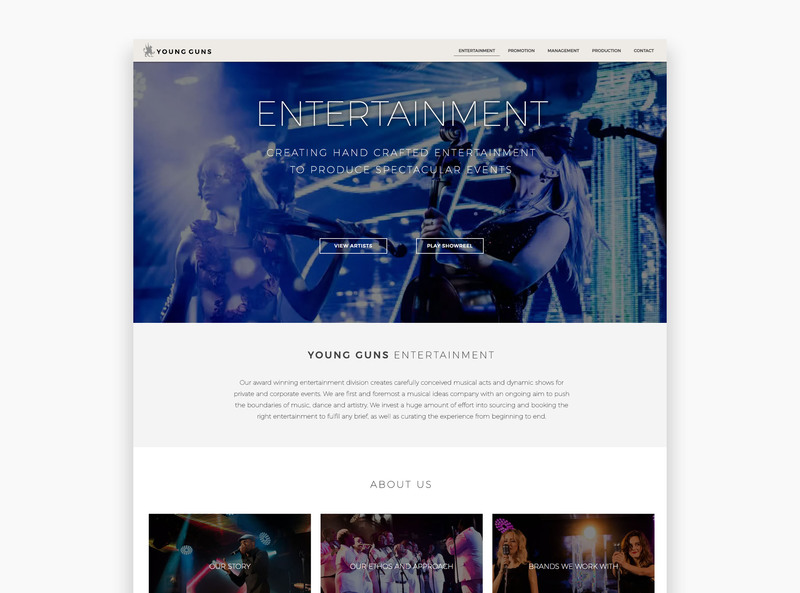 Since 2005, Young Guns has established itself as a leading provider of entertainment both in the UK and internationally. Understanding the business model is crucial to the success of any digital presence. Original People held in-depth discovery sessions with the stakeholders of Young Guns, to fully uncover the true essence of the company and the core values that it wanted to portray. We understood that there were 4 key pillars to the business: the Entertainment, Promotion, Management and Production foundations. We wanted to design a unified design that encompassed the core values, whilst offering an individually immersive experience. 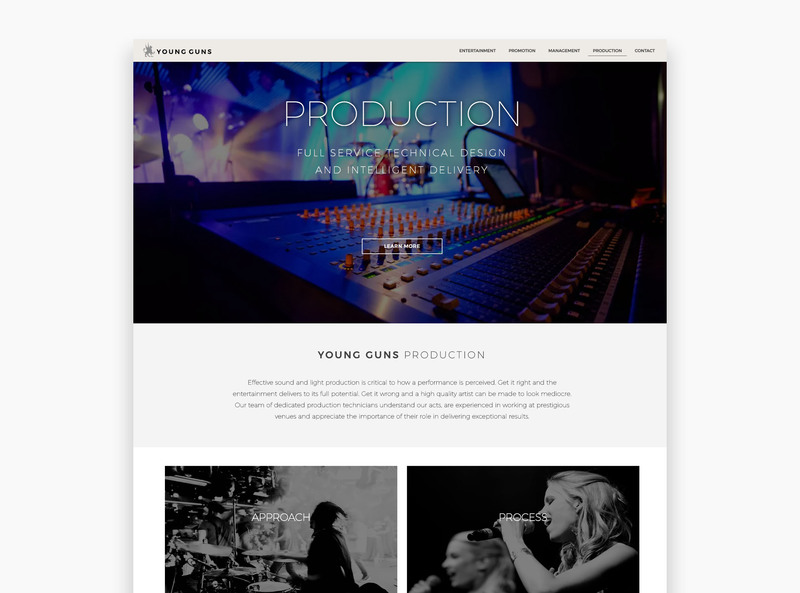 We felt that the most immersive and efficient way for Young Guns to offer their clients the flexibility wen choosing the right acts for their own event, would be to allow them to seamlessly add artists to a set list whilst browsing the website. 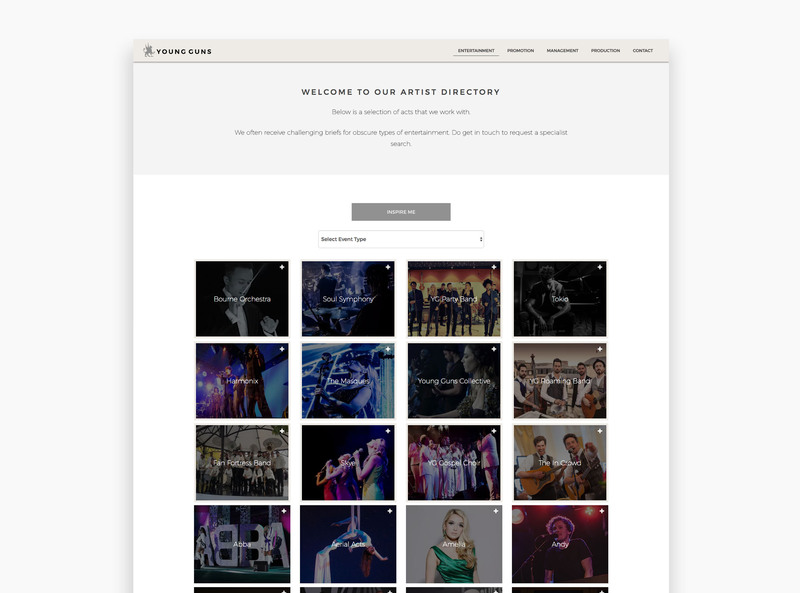 We've designed a system that would enable consumers to explore artist directories, featured artists and artist profiles and then compile their own event set list request. Once they've selected their curated list, they can then send an enquiry request to a pre-populated form, containing their entire artist set list. By tactfully ensuring that Young Guns' new digital presence is fully mobile and device responsive, it enabled Original People to truly deliver and represent each pillar of the business with finesse and proficiency. Since the implementation of the new platform, there has been a significant increase in SEO rankings, organic consumer enquiries and a significant increase in time that consumers spend on the site.